There is a need for outreach programs to attract a diverse range of students to the computing discipline. The lack of qualified computing graduates to fill the growing number of computing vacancies is of concern to government and industry and there are few female students entering the computing pipeline at high school level. 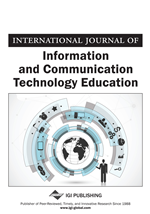 This paper presents three outreach programs that have the underlying assumption that students need to be reminded about the creativity and potential of computing so that it remains on the radar of their future career options. Each program instigated social and cultural change through a paradigm shift where girls moved from being ICT consumers to ICT creators. By exposing students to a wide variety of ICT activities and careers during secondary schooling, they were more likely to consider studying information systems, computer science or any other computing course at the university level. Results are presented showing student attitudinal changes as well as observed increases in enrolments at secondary school and university courses.